Greetings. This Friday Realtor Steve Wallace, and many of his Weichert Associates, visited the Heyward House Welcome Center in Bluffton, South Carolina. The Heyward House is the official Welcome Center for the town of Bluffton and it should be on your list of places to visit when you arrive in town. Steve suggests newcomers enjoy a guided tour through the five interior rooms and the two outbuildings that take about 45 minutes and cost $10. You’ll discover many artifacts displayed in each room, learn some history of Bluffton, the Heyward House and the people who lived there. 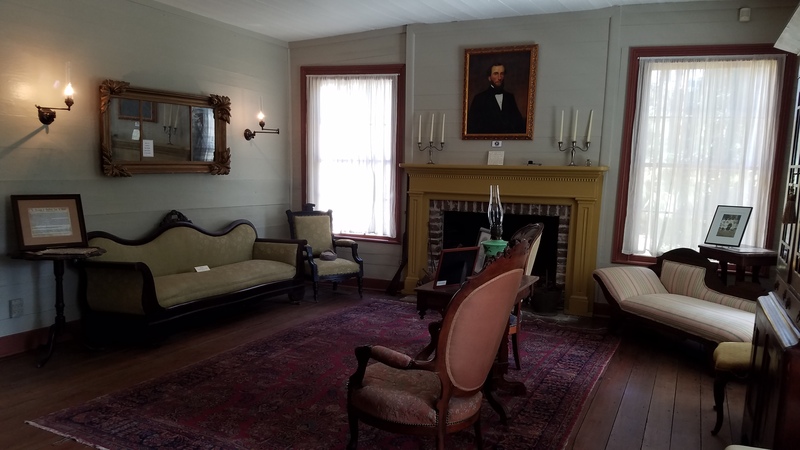 Tour the Heyward House Museum, built by slaves in 1841; find maps and brochures for area Bluffton businesses, and get a taste of the culture and history of our fair town of Bluffton. The Heyward House Museum and Welcome Center is owned and operated by the Bluffton Historical Preservation Society, a non-profit, 501-(C)-3 corporation, dedicated to the preservation of the culture and history of Bluffton, South Carolina. You can find more information online at www.heywardhouse.org/. Get online and take a virtual tour of the house. If you’re visiting Bluffton and planning a relocation to the town of Bluffton, visit your premier source for Greater Bluffton South Carolina real estate and homes for sale which is Steve Wallace Real Estate online. Search by Bluffton neighborhoods to find great homes for sale in a diverse mix of neighborhoods and plantations with many amenities. Get personal Realty service by connecting with Realtor Steve Wallace on his website through a contact form, on the phone by calling 843-540-4282 or by email. On your journey, to your next home, make your first move a call to Steve Wallace, Realtor.